There’s a lot of catching up to do regarding this blog of mine. 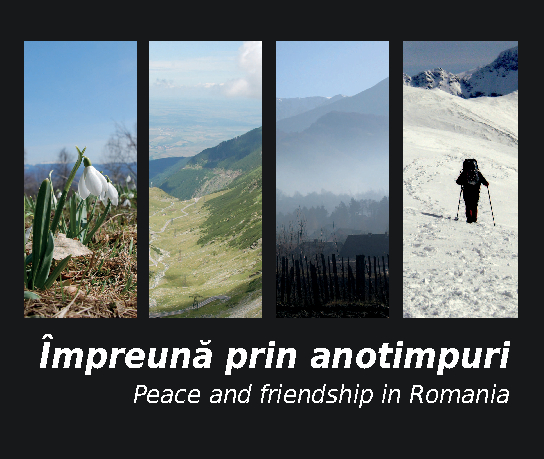 But rather than not post because I need to write a long-detailed and entertaining update, I figured that I’d post the Peace Corps Romania project that has was finished just as we were leaving the country and has recently hit the presses. It’s a book through which we wanted to commemorate Peace Corps service in Romania and the many things that make our service uniquely Romanian. The book was launched in Romania (thanks to Courtney Brown) at the Legacy Gala at Ambassador Mark Gittenstein’s residence in Bucharest at the end of September. On the other side of the pond, this book was the gift given to the Romanian ambassador, Adrian Cosmin Vierita, in Washington, DC at an event there commemorating Peace Corps Romania. And while I’m proud to have this book on the bookshelves of two ambassadors, I’m more proud that a Peace Corps Response Volunteer, relatively new to Romania said that beyond a glimpse of Romanian life and traditions, the book captures the Peace Corps spirit. And that’s what we were going for the whole time. Here’s a peak inside the book. . .